I did these a few years ago, basically sticking aerial photos onto Google maps, I’d pretty much forgotten them until earlier. They seem worthy of a few posts. There are hundreds of these sites in East Anglia, and all, where accessible are worth a visit. If you want to you can also get involved with 8th in the East who are running a project on the Eight Air force airfields in the East of England. More of these to follow. 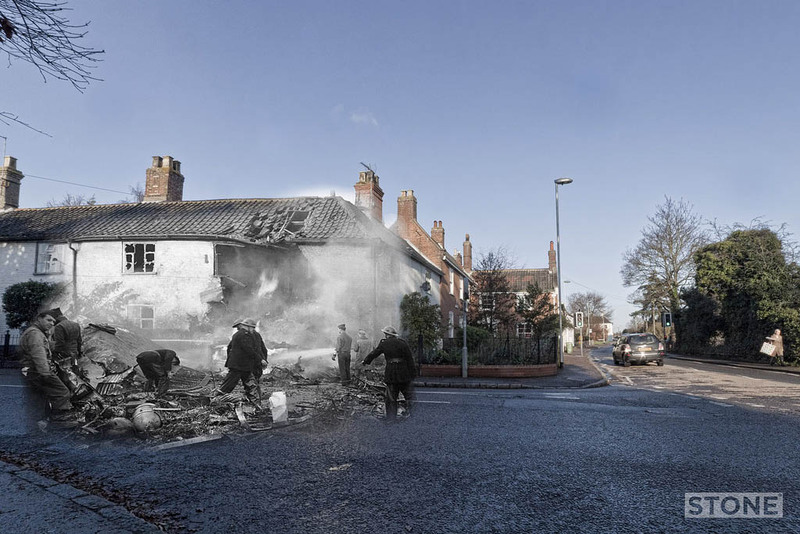 The picture above is/was the scene in Catton at the corner of Church Street and Spixworth Road on the 13th February 1945 and the corner of the same Roads on 22nd December 2011. The Catton B24 Liberator one of two that crashed in Catton on the outskirts of Norwich, The other Tommie Thumper II was probably only about 500ft away in Catton deer park. This was a B-24 Liberator in the 2nd Air Division 458th heavy bomb group, 753rd bomber squadron, “A Dog’s Life”, aircraft serial number was 44-40281 Stationed at RAF Horsham St Faiths. The crash was due to an engine failure on takeoff, the plane turned over Catton Park to land and didn’t make it. But did that valiant “try not to hit anything that looks like a house” thing that pilots have a habit of trying to do” Who can imagine what must go through your head. The on-board crew all died, one man survived simply by virtue of not being on the Liberator as he normally would have been, imagine that, losing all your mates in one hit, very very common. Those cylinders by the way, they’re for oxygen, not bombs as someone suggested the other day. Built in 1942-43 a standard Class A requirement for heavy bombers, runway 6,000 ft. long aligned SW-NE and two secondary runways of 4,200 ft in length. The perimeter track was three miles long. To meet USAAF requirements, there were fifty-one hardstands both of the loop and frying-pan type and two T-2 hangars, placed one on each side of the airfield, that on the south being adjacent to the technical site. 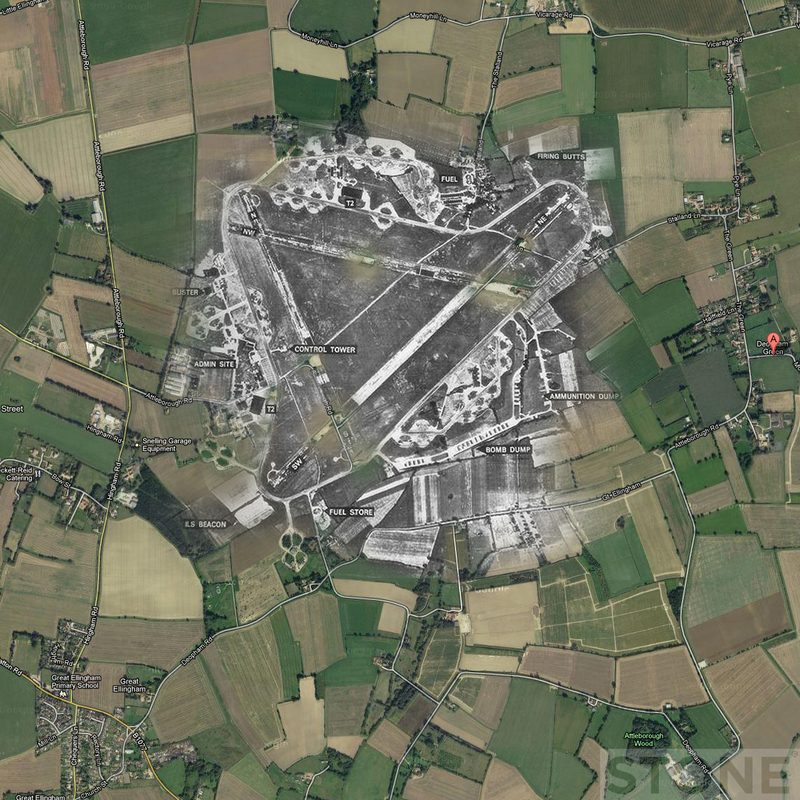 The camp was of temporary buildings and the sites dispersed in farmlands to the south of the airfield. Some of which still exist and despite being overgrown are apparently in quite good nick. The 448th flew B-24 Liberators as part of the Eighth Air Force’s strategic bombing campaign. The group entered combat on 22 December 1943. 9 miles away, be rude not to go and get mucky in the undergrowth and gaze at the sky wouldn’t it. Ghosts of bombers and that. Home to 452nd Bombardment Group (Heavy). USAAF designation Station 142, 8 AF, Part of the Eighth in the East. Comprising 728th Bombardment Squadron (9Z), 729th Bombardment Squadron (M3), 730th Bombardment Squadron (6K), 731st Bombardment Squadron (7D). The group flew B-17 Flying Fortresses as part of the Eighth Air Force’s strategic bombing campaign. It’s still there, or bits are, there’s even a fairly long stretch of runway that’s been used by my family to do that awkward first attempt at driving on. It’s the main one in the middle that’s now a road line. Great Ellingham is bottom left, Deopham is to the right. Attleborough to the South East. Imagine those B17s thundering across the big Norfolk skies. 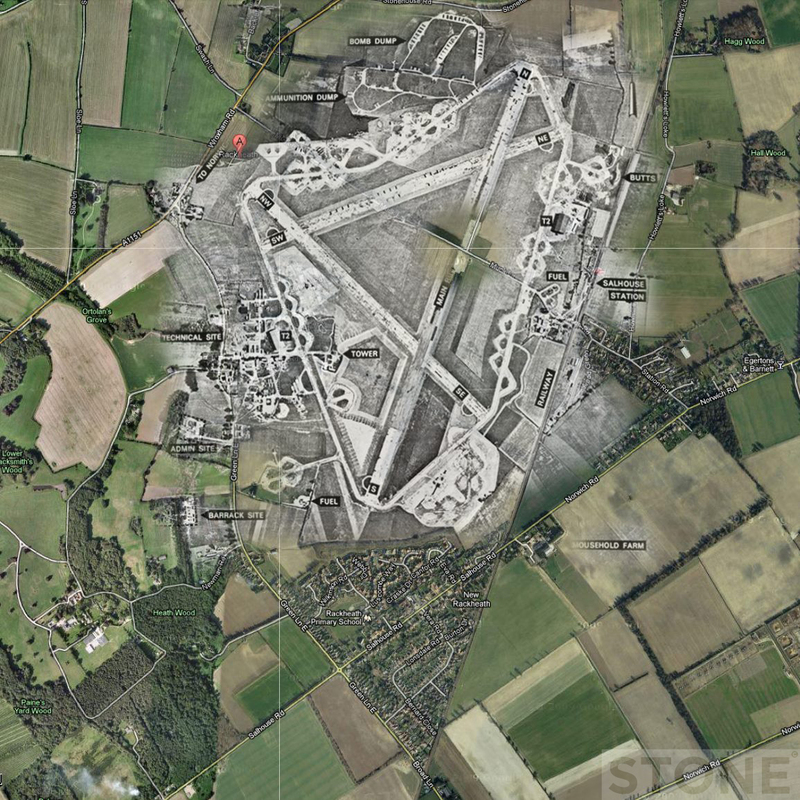 Some features remain, primarily hanger T1 which is now a warehouse in the middle of the estate which was the “technical area”, one of the pieces of hard standing, plus a stretch of runway which is about half way along Muck lane. Also the control tower, which is offices and some of the sheds, Some of the dorms are still knocking about too. Wandering around the Estate is quite odd, basically the whole thing is built over the technical area. 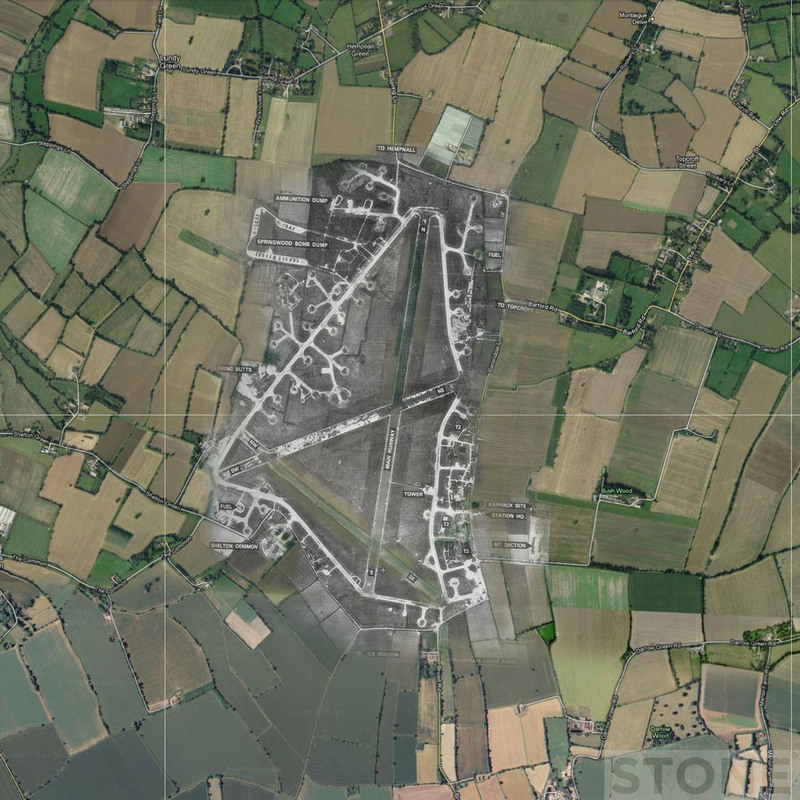 The airfield was given USAAF designation Station 145, opened on 11 March 1944 and was used by the 467th Bombardment Group (Heavy), arriving from Wendover AAF Utah. The 467th was assigned to the 96th Combat Bombardment Wing, and the group tail code was a “Circle-P”. Its operational squadrons were: 788th Bombardment Squadron (X7), 789th Bombardment Squadron (6A), 790th Bombardment Squadron (Q2), 791st Bombardment Squadron (4Z). Flying Consolidated B-24 Liberators as part of the Eighth Air Force’s strategic bombing campaign. The 467th began operations in April 1944. A satellite station for RAF Watton, this was a grass strip airfield, with hardstanding and tarmac provided later but not for runways. Used by the 8th Airforce. The airfield was opened in May 1943 and was used by the United States Army Air Force Eighth Air Force 352d Fighter Group. The group was under the command of the 67th Fighter Wing of the VIII Fighter Command. The group consisted of three squadrons: 328th Fighter Squadron (PE), 486th Fighter Squadron (PZ) and the 487th Fighter Squadron (HO). Equipped with P-47 Thunderbolts and later P-51 Mustangs the station provided fighter cover in Normandy, St Loin and in Holland The squadrons were eventually moved to Belgium for operations during the Battle of the Bulge in the Ardenne. the field was shut in late 1945 and almost immediately reverted to Farmland. Some buildings remain, including the control tower and some other buildings, the hangers have gone. Really nice work, hope you keep it up! Would be fun to see a map of the whole area with the bases on all together! 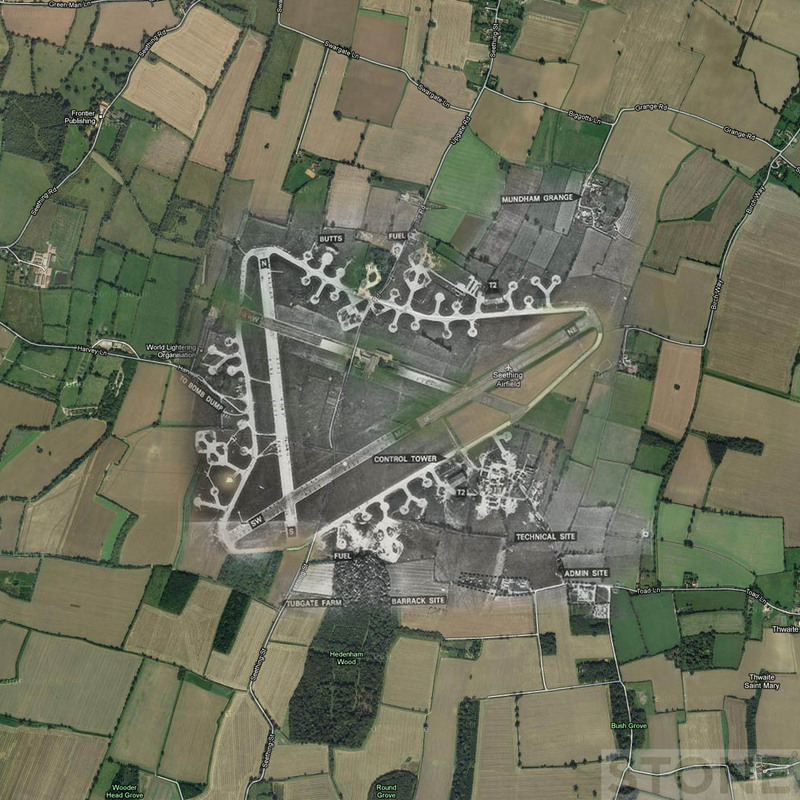 Hi, thank you for publishing a pic of the airfield at Deopham. 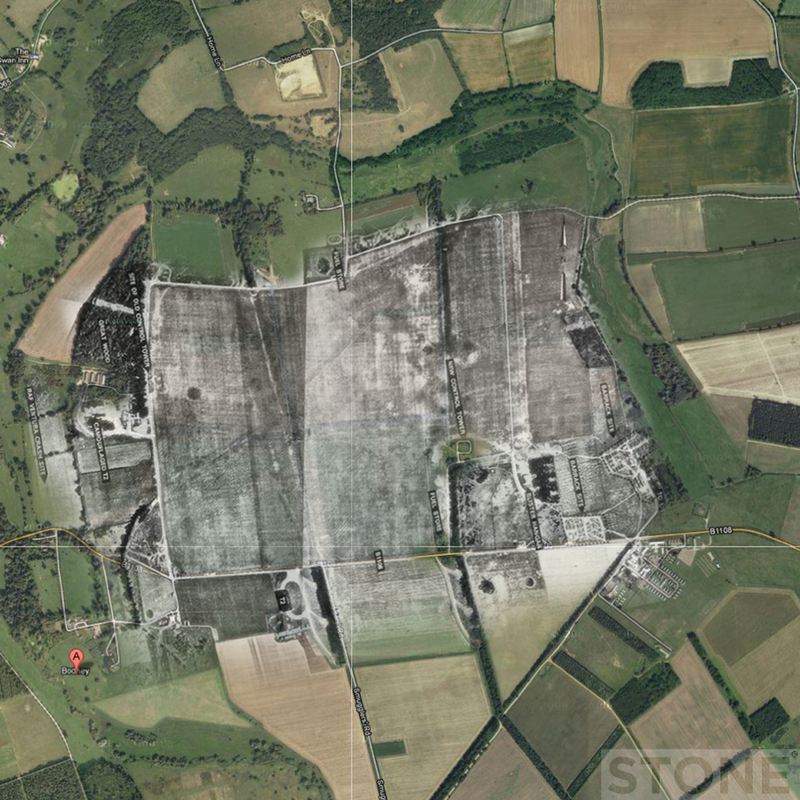 My family lived at Stallards Farm, near Gt Ellingham. My brother, sister and I used to play on the airfield a lot in the 1960’s. Bit scary thinking back to what we & friends got up to – no health & safety back then. I remember the Control Tower, big swimming pool – probably for fire not swimming! Lots of drainage tunnels and the runway. Our farm had some wooden buildings almost certainly used by the airfield & some Nissan huts. Might have some photos somewhere!